Hawkeye Downs is located on the south side of Cedar Rapids just off Interstate 380. Take the 33rd Ave. exit to the 2nd stop light west of 380. There is a large sign on the west side of street. 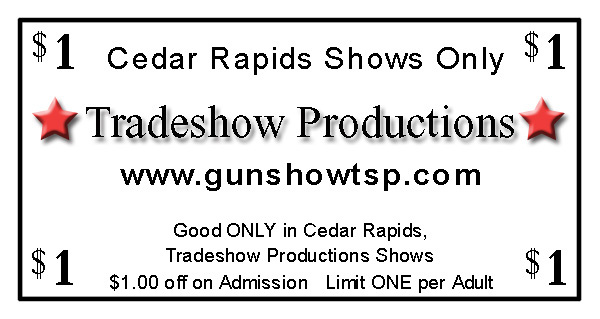 The gun show is in the Expo Building #1 as you enter the fairgrounds.